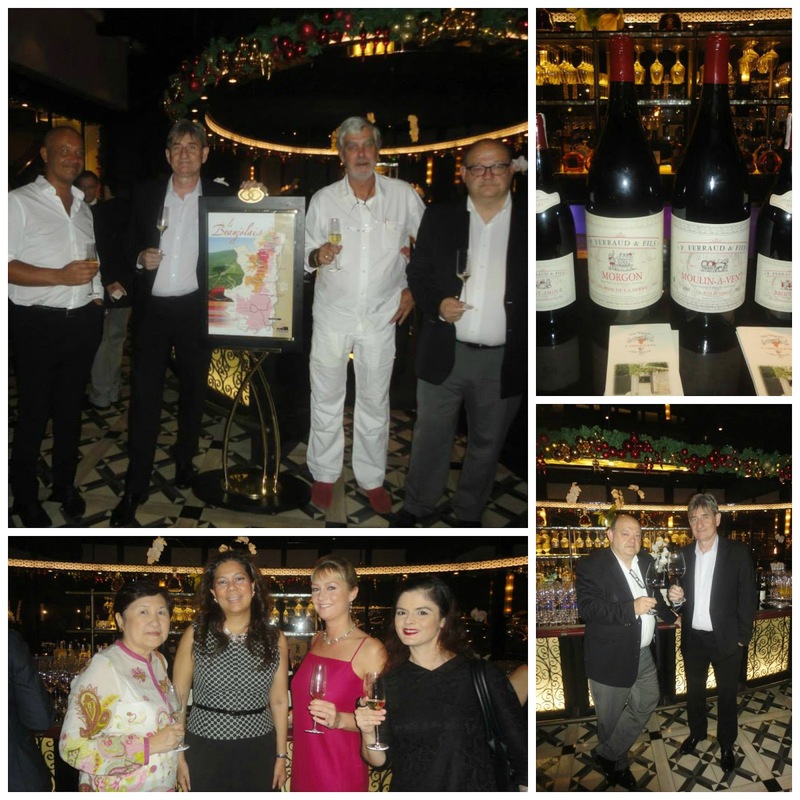 For the second year, the Sofitel Philippine Plaza and Le Cellier hosted a special Beaujolais Wine Dinner for special guests and was also graced by Monsieur Yves-Dominique Ferraud of P. Ferraud & Fils. 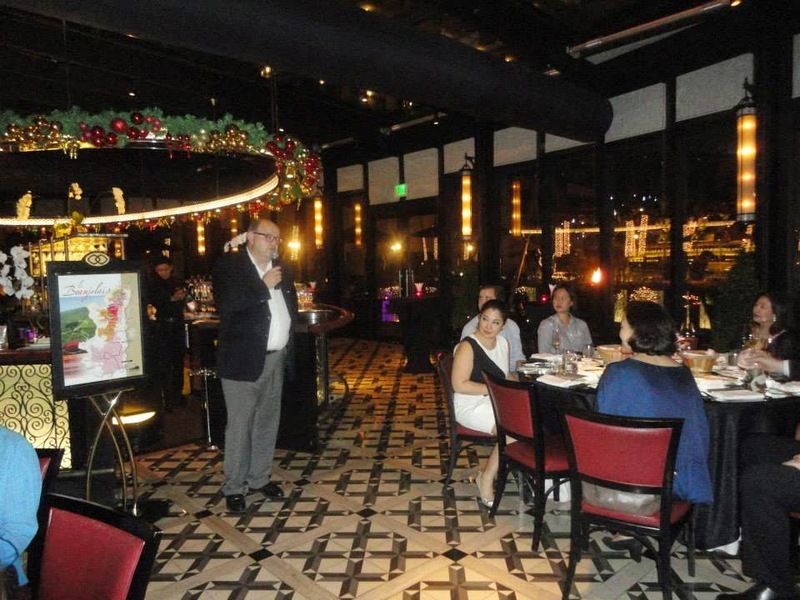 The wine dinner was held a few days after the annual worldwide Beaujolais Nouveau celebration. 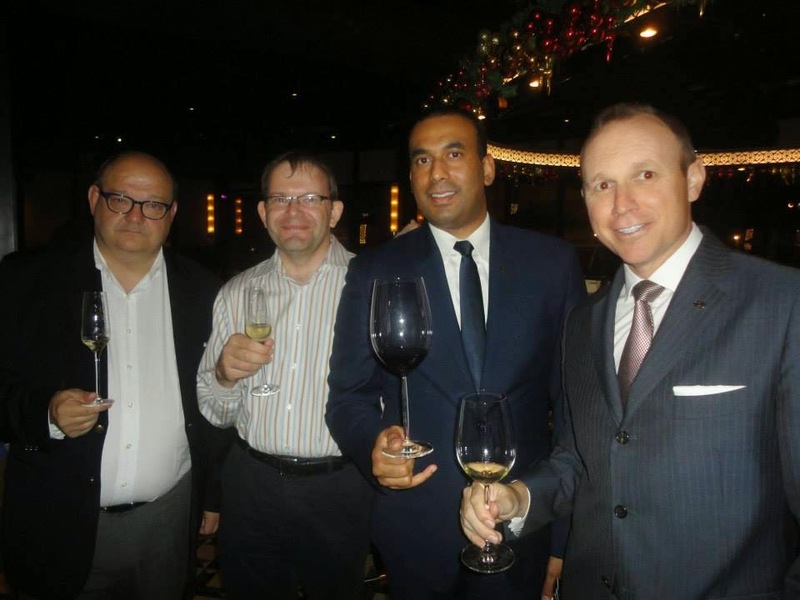 Fresh from his Vietnam trip where Monsieur Ferraud also attended a Beaujolais Wine Event, he was happy to note that there's a steady growth of wine enthusiasts in the Philippine market. 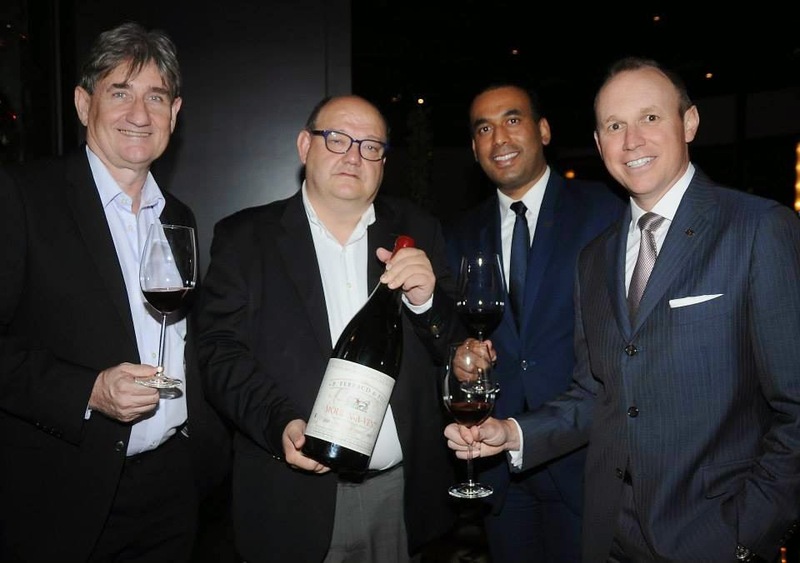 Monsieur Ferraud is a 5th generation winemaker from the Beaujolais Region of France. Being one of the last few family companies in the wine business, he hoped to continue the legacy for more generations to come. P. Ferraud & Fils wines includes- Beaujolais Villages, Fleurie, Moulin A Vent, Brouilly, Macon Villages, St. Veran, Pouilly Fuisse, and many more. 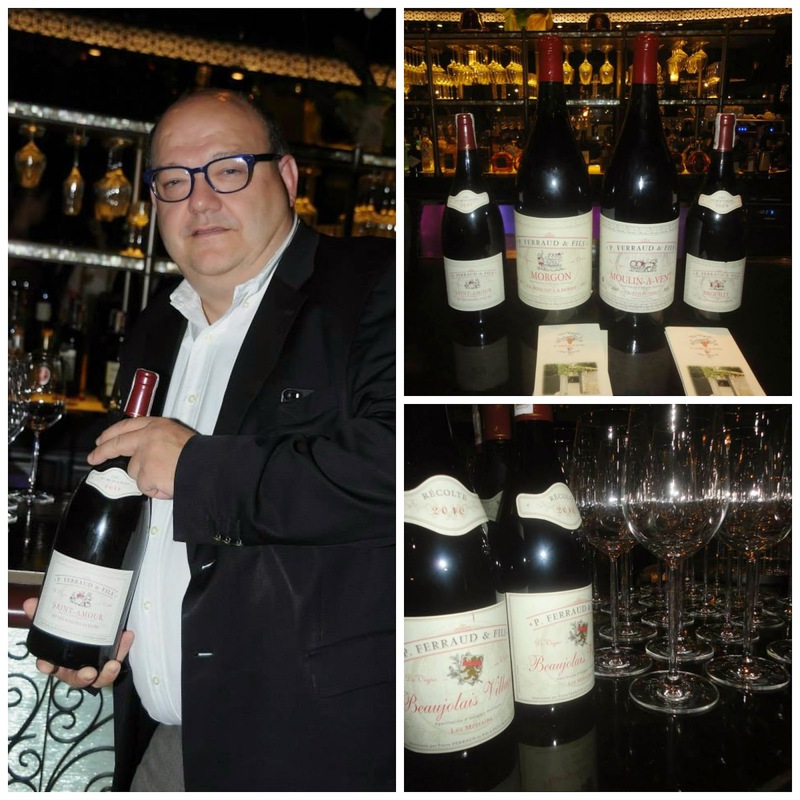 With some of the best wines from the 200 year old cellar of Monsieur Ferraud in France, combined with the great food that Spiral is known for, guests were treated to a fantastic dinner. Of course, one must not forget that Sofitel Philippine Plaza is the only 5-star hotel in the country with its very own cheese room. 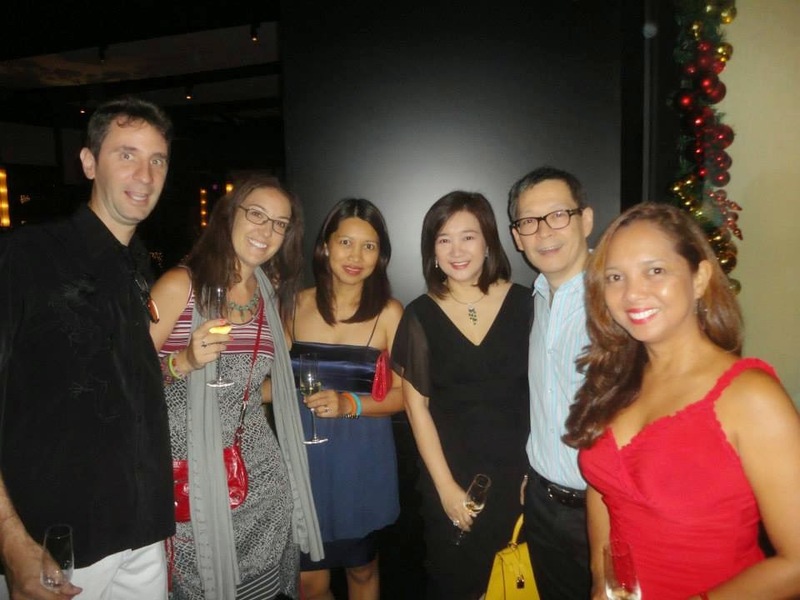 Cheers to Monsieur Ferraud and P. Ferraud & Fils! Unit 201 Sunette Tower, Durban St. Makati City Phils. This looks like a really elegant event! I think it's true that there are more and more win enthusiasts in the country. I'm not a wine drinker. I've tried but I never really got the hang of it. Nice event though. I'm sure wine enthusiasts had a great time! I haven't been to Sofitel, but it's definitely in my bucket list. I hope we'll have a chance to visit this 5-star hotel in the coming days. I'm not much of a drinker so I can't relate much to this post but I have always wanted to visit Sofitel! Ang sosyal ng event! I'm not a drinker eh pero I appreciate half a glass of wine from time to time paired with different kinds of cheese and grapes.. oo half glass lang or else, lasing ako!